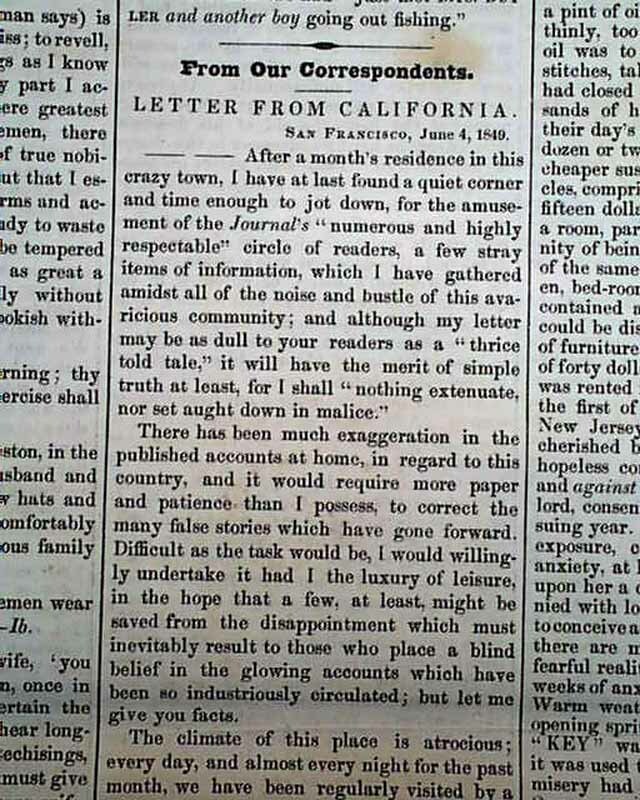 Page 2 has: "Letter From California" which takes almost an entire column. 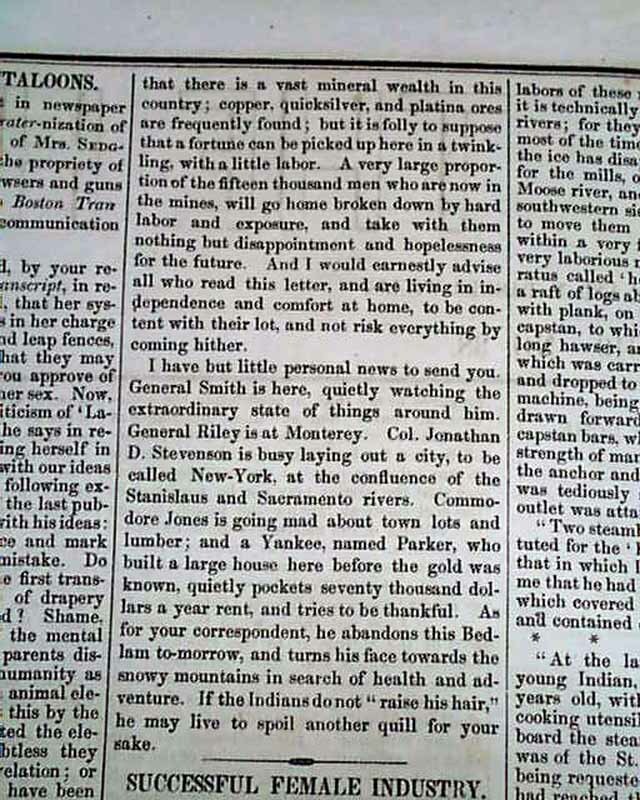 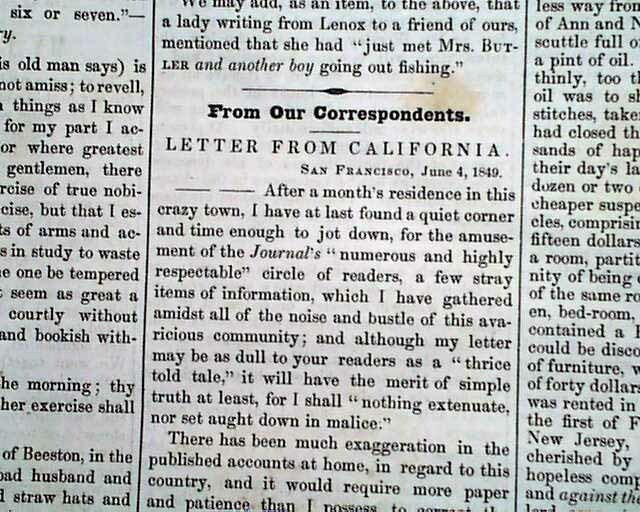 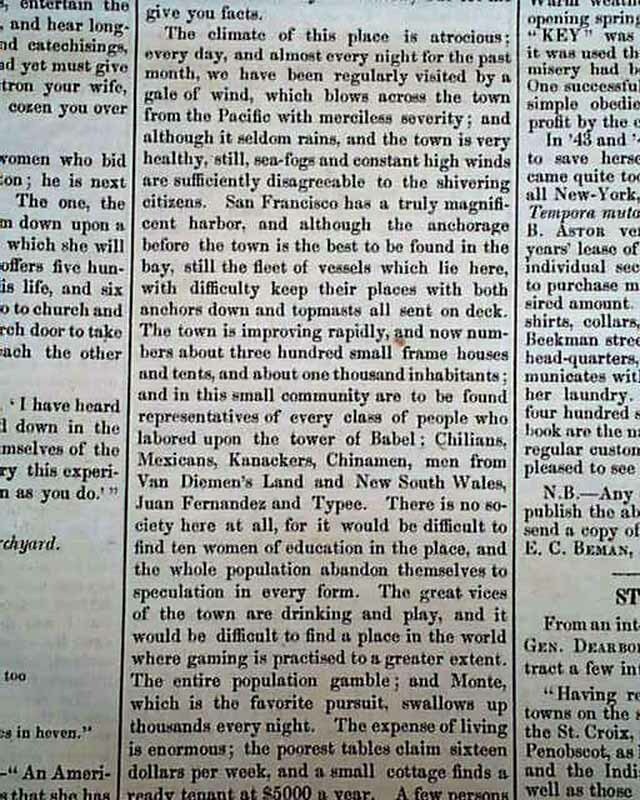 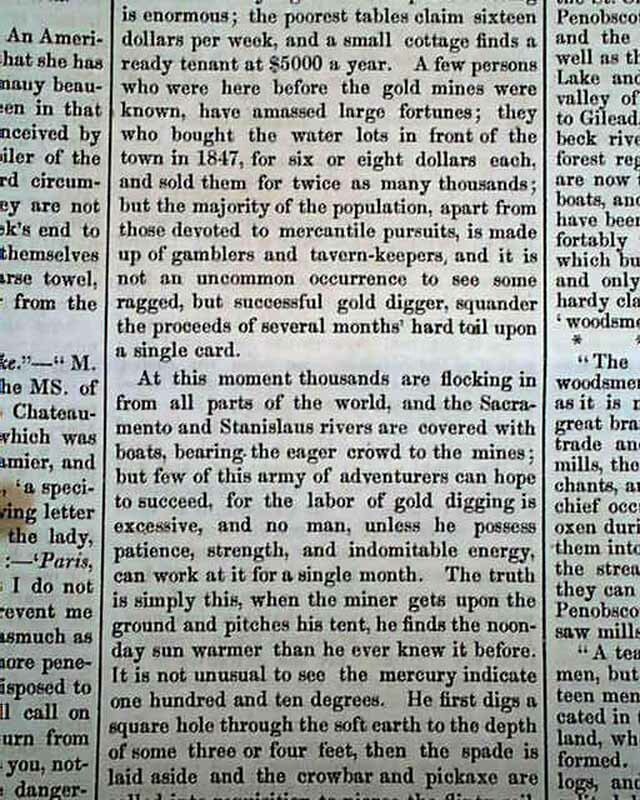 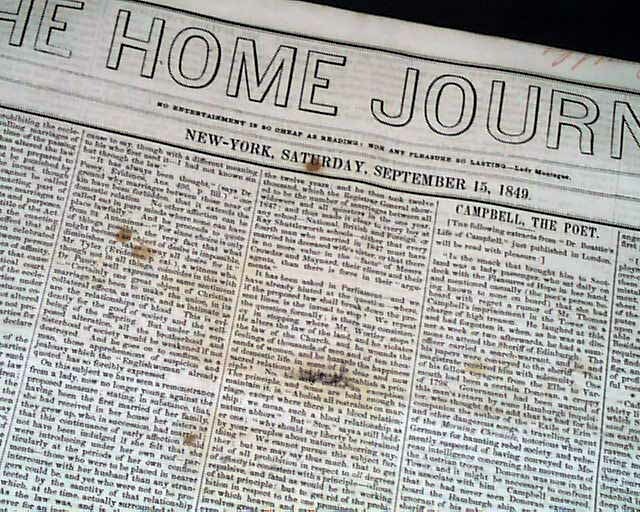 It is a fine letter from San Francisco in which the writer corrects all the false, hopeful rumors about the ease of finding gold, and the very difficult & frustrating situation which actually exists (see for beginning). 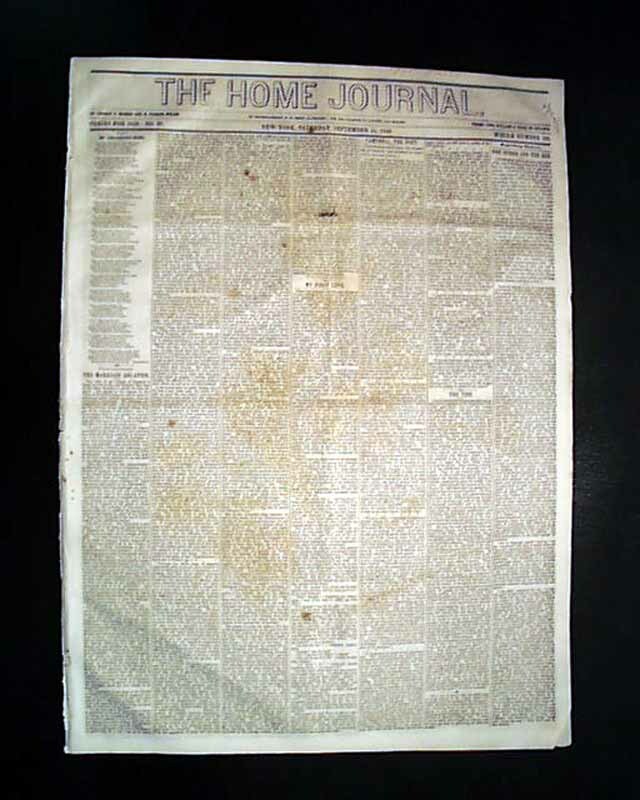 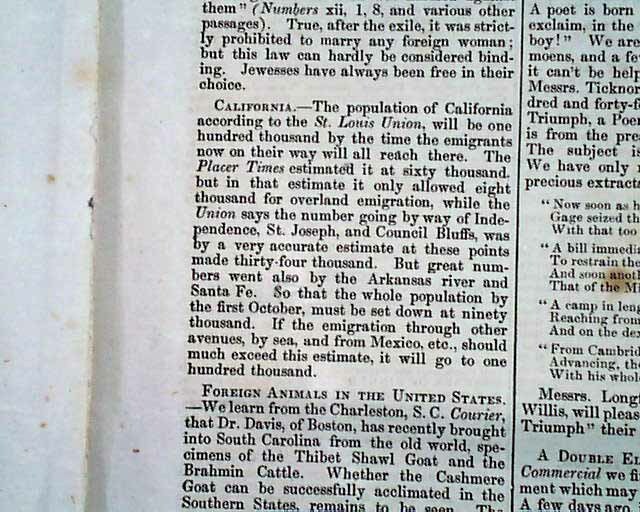 Page 3 has a short item with a small head: "California" (see photo). 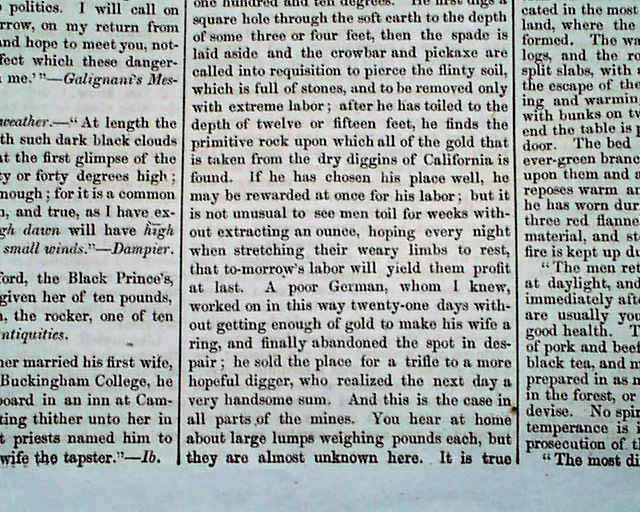 Four pages, some light foxing, nice condition.